Dr. Kenneth Abe grew up in the bay area and and attended the University of California San Francisco Medical Center for his dental training. After graduating in the top 5 in his class in dental school, he completed his Graduate Specialty Training in Advanced Periodontics at the University of Southern California in 1977. He then went on to teach Periodontics for the next 15 years at UCSF Dental School in the Advanced Periodontics Clinic while maintaining a private practice in Los Altos. Dr. Abe specializes in Periodontal Microsurgery, Minimally Invasive Surgery and Computer Guided Flapless Implant Placement. His objective is to provide the highest quality of care, emphasizing minimally invasive techniques. The objective of Minimally Invasive Surgery is to minimize tissue trauma by shrinking the surgical field by limiting incisions through microsurgical techniques. His goal is to make your visit as comfortable and painless as possible. In 1993, Dr. Abe was one of the first in the nation to begin placing dental implants utilizing three dimensional CT computer guided implant placement. Before the surgical visit, a "virtual surgery" is performed on the computer utilizing computer modeling software to place implants. This approach delivers the highest degree of accuracy and safety in implant placement available today. CT computer guided placement allows placement of dental implants and bone grafts utilizing Flapless Surgery where your gums are not "flapped open" to place implants, no sutures are needed. The goal is to make your experience as painless and comfortable as possible. 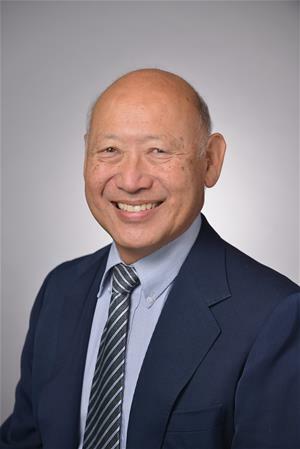 In 1996 Dr. Abe was one of the first in the world to be trained in Periodontal Microsurgery where a surgical microscope is used to perform surgery. This allows for much more precision in surgery and results in his being able to visualize many problems not apparent to the naked eye. These microscopic problems would normally be missed in conventional surgery. He has pioneered many microsurgical and minimally invasive implant placement techniques that he exclusively uses today. He has presented many lectures on the subject of Periodontics, Microsurgery, Dental Implants and Minimally Invasive Treatment. Being a member of the American Academy of Periodontology, Academy of Osseointegration, American Dental Association, California Dental Association, Western Society of Periodontists, and Mid-Peninsula Dental Association allows Dr. Abe to stay abreast of the changes and recommendations for our profession.